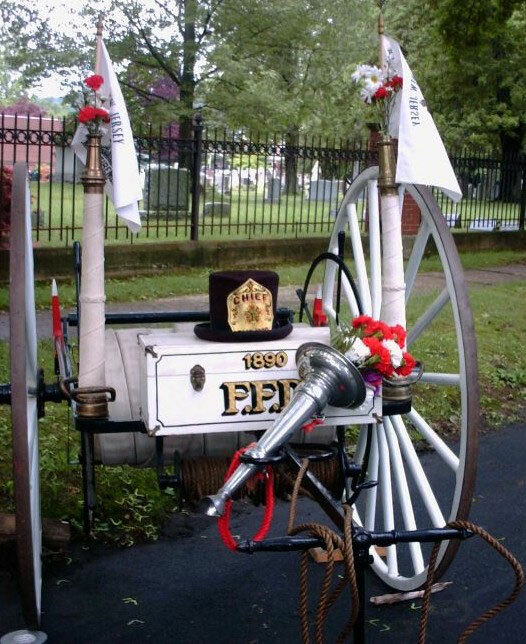 The Fanwood Volunteer Fire Company was organized in 1890 to protect homes in the Fanwood Park area around the railroad station. 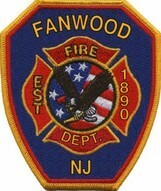 This was five years before the borough of Fanwood was incorporated. There were 12 charter members who believed a fire company was necessary "in case of conflagration or otherwise." Fire equipment was initially stored in private sheds. In 1897 the original fire house was built on Watson Road across the street from the current fire headquarters. The building was was torn down in 1939. The original fire house's bell tower was 50 feet high, but had to be lowered to 25 feet when it began to decay. It now resides at the Fanwood Presbyterian Church. The current fire house is located behind the borough's municipal complex at 75 North Martine Avenue and is attached to the municipal court and police headquarters. It was built in 1983 after a 10-year struggle for new facilities. It has bays for three apparatus, a large meeting room, a kitchen, a chief's office, bathrooms and a gym.